Regardless of what the Daily Mail tell you tomorrow, this is not a dive. It's a terrible decision, sure. It's not a penalty, of course. But it's not a dive and it's not cheating. OK? Great. So Manchester City are 1-0 up at home to Shakhtar in the Champions League. It's a run of the mill home performance. City are doing their thing, spreading the ball from side to side with frightening pace, ripping through Shakhtar like Hulk Hogan through one of his million yellow vests. Raheem Sterling latches onto a through ball and runs into the penalty area at full speed. Trying to get the ball out of his feet so he can unleash a shot, Sterling accidentally kicks the ground. It happens. We've all stubbed our toes, this is like that just on a much bigger stage, with the added consequence of being lambasted for something you didn't do in the papers the day afterwards. Sterling falls over because, as I mentioned, he kicked the ground. 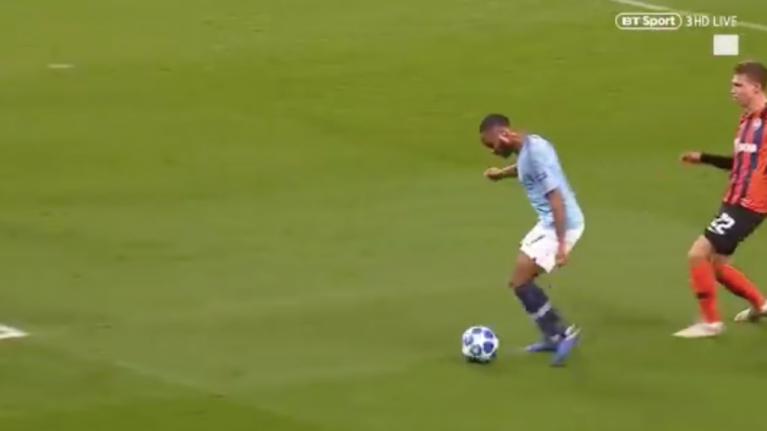 The referee then proceeds to award a penalty despite the closest defender to Sterling being a good two yards away from him. The Skahtar defenders were baffled. The fans were baffled. Everyone was baffled, including Sterling. Did he say anything? No. Why would he? 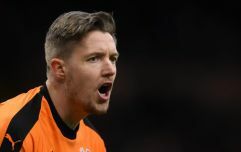 He's a professional footballer playing at the highest level and will not turn down a penalty awarded to his team on a silver platter. Gabriel Jesus converted the penalty to make it 2-0 before the break.